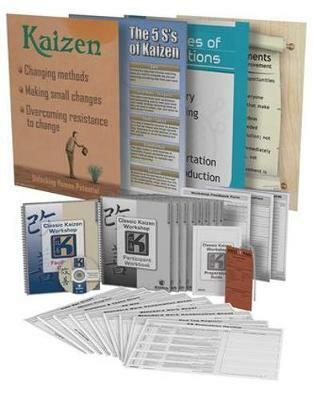 One of the most critical tools to generate rapid sustainable Kaizen improvements is a successful training program. EnnaaEURO ™s Classic Kaizen Workshop Package is a solid foundation for training that will engage your business teams, utilizing proven techniques to help your employees realize more streamlined manufacturing and overall business processes. The dramatic improvements your organization will realize by implementing the tools and methods learned throughout the workshop will provide the evidence necessary to create a sustainable, long-term Kaizen program.